Jon Jones' latest return is almost upon us. It's difficult not to wonder what Jones could have accomplished in recent years if not for the suspensions he's been forced to serve due to various indiscretions. 'Bones' has not set foot in the Octagon since July 2017 but with a rematch against Alexander Gustafsson scheduled for UFC 232 at the end of this month, Jones will ensure that he does not go through a calendar year without a fight. 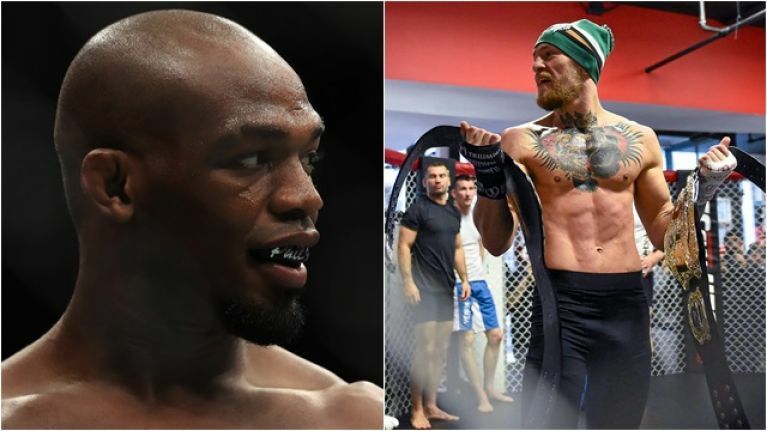 Since his 2008 debut, Jones has fought at least once a year and he will get the chance to reclaim the light heavyweight title he never lost when he runs it back with his Swedish rival in Las Vegas on December 29. 2019 will be an intriguing year for Jones, if he manages to avoid any further controversy, and he has been linked with the realisation of a trilogy with Daniel Cormier. Cormier will retire next year and is entertaining several options for his final bout and while 'DC' has lost twice to Jones, a third fight would still garner plenty of fan interest. The trash talk between Jones and Cormier has basically been ongoing for four years and 'Bones' kickstarted it again in the early hours of Thursday morning with a pair of tweets aimed at his long-time nemesis. Jones referenced Conor McGregor's achievements at featherweight and lightweight to insinuate that Cormier cannot consider himself a true two-weight world champion because he lost to Jones for the 205lbs title on two occasions, only for the latest fight to be overturned to a No Contest after Jones tested positive for a banned substance. The controversial pound-for-pound great also came up with an interesting offer for Cormier, promising to donate $100,000 to a charity of his choosing if 'DC' agrees to a third and presumably final clash.